Every game lasts approximately 5 minutes and can have a maximum of 25 players. Player who predicts the most correct outcomes wins and takes the prize. The system automatically calculates a fixture (teams are from the real world) and the player's task is to guess the match outcome. You're John Terry, king of defenders! As the main threat at every corner kick, now many goals can you score in the tournament. Good luck! 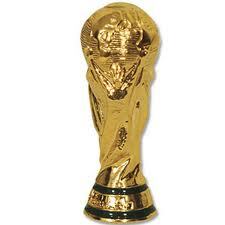 Pick one of the 32 qualifying world cup teams to enter the soccer tournament and take home the trophy. Show off your soccer skills. With bonus items and level secrets. Win your game and be champion of all champions. Lead you team to success and earn bonuses.